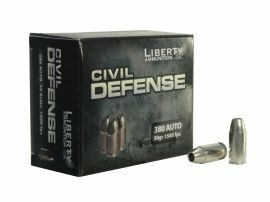 Liberty Civil Defense ammunition is a high velocity, extremely accurate load designed for self-defense. The 50 Grain Lead-Free Fragmenting Hollow Point bullet travels at 1500 feet per second, resulting in 12 inches of ballistic gel penetration and a permanent wound cavity greater than 2.5 inches in diameter. 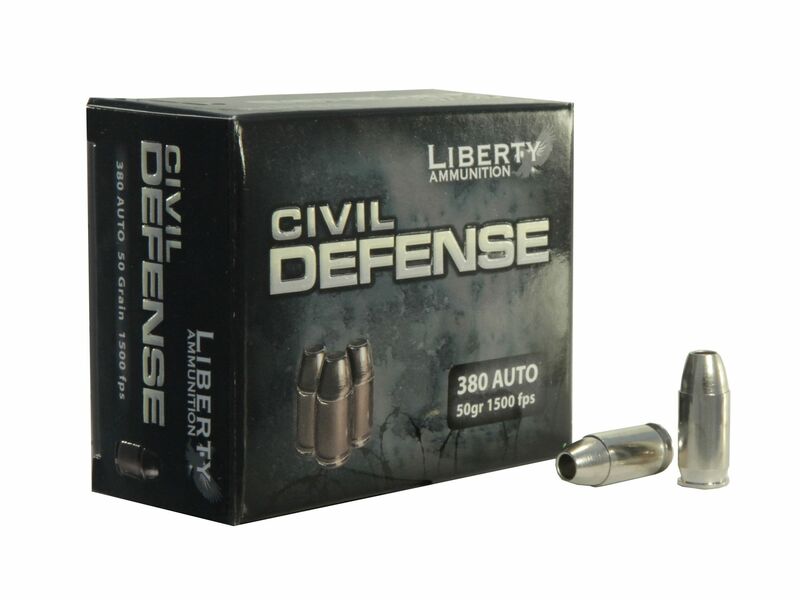 This light bullet, high velocity round yields 16% less felt recoil and has an effective range of 25 meters. This ammunition is new production, non-corrosive, and requires no weapons modifications.